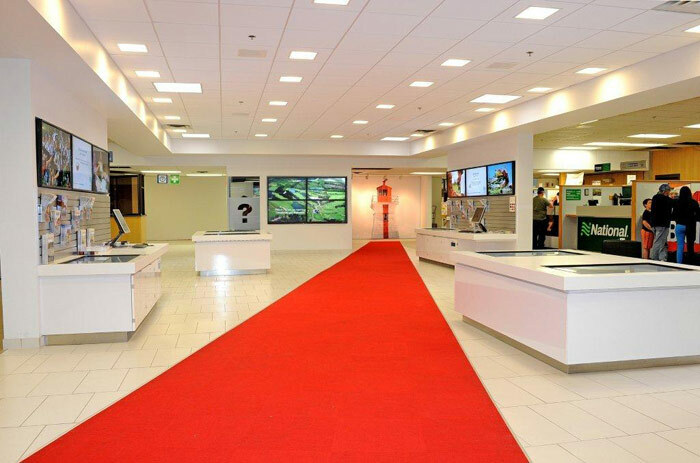 Adjacent to the arrivals gate is a renovated, state of the art, Visitor Information Centre operated by the Government of Prince Edward Island. It contains touch screens where visitors can search for accommodations, attractions, or directions to their favourite activity. The Centre includes self-serve screens, highway maps, visitor guides, and other publications are available on a year round basis in both official languages.